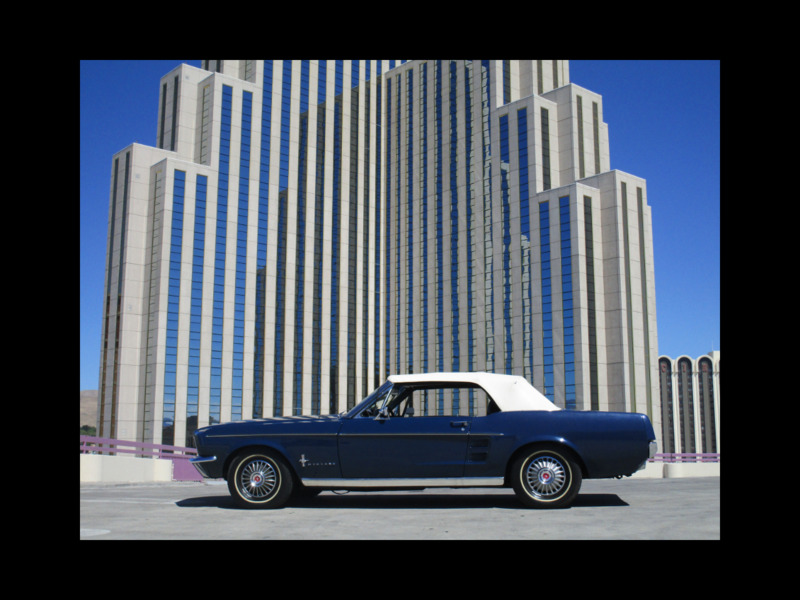 This 1967 Ford Mustang convertible, is a one owner car, and has a 390 cu in engine., automatic transmission, new convertible top, power steering, original keys, all matching numbers, all original documentation, Bill Ronchetti paint, new radio (original radio in good shape and available), original plates, front disc brakes. Runs and drives well. Interior in good to fair condition, original door panels and dash showing normal wear.